Not many people will remember the old Mansergh-Woodall Club, a boys’ club which existed from 1877 up to World War II and whose headquarters still exists in St John’s Wood, though rebuilt. The story of it, and the take over of the building, by the 8th St Marylebone Scouts after the war, is a fascinating one, dependent on the dedication of Paul Neuman, and subsequently of Leslie Kirby, assisted by the enterprise and munificence of two civil engineers. The saga starts with Paul Neuman’s father, Jacob Elias Neuman (c.1822-1903) emigrating from Russia c.1847, evidently because of a pogrom against the Jews, and being converted to Christianity by Reverend Ridley Herschell, himself a Jewish immigrant from Poland, who had become Christian and an evangelist for Jews at his Independent Chapel, near Edgware Road, now belonging to the Seventh Day Adventists. Herschell gave temporary accommodation to Neuman, who married an English woman who bore two children, Adel Rachel (b.1852) and Berman Paul (1853-1941). Both children later dropped their foreign first names. The family remained Independent Christians (later styled Congregationalists) and were evidently well educated. Rachel was to work for Dr Barnardo in Stepney as a journalist and wrote a biography of him, as well as several nursing books. Paul qualified as a barrister, with an office near Chancery Lane, but wrote many novels later and a practical book on running boys clubs (1900). The family first found accommodation in Baker Street but moved to Harben Road, Swiss Cottage, until their house was demolished for the building of the Great Central Line railway by cut-and-cover at the turn of the century. At Swiss Cottage, the family attended the Congregational church of New College Chapel (on the site of the public library) and, in 1877, Paul Newman started a boys’ club there. He had advanced ideas, anticipating general secondary education, and his club grew quickly and needed bigger premises. In those days primary education was provided by the London County Council, but secondary education was a matter of fees for the old foundations, or of passing scholarships. He was assisted in his efforts by two benefactors who also attended the Chapel, James Mansergh (1834-1905) and Corbet Woodall (1841-1916). Both were civil engineers living in Fitzjohn’s Avenue and were immensely rich. James Mansergh planned the huge Elan Valley Water Scheme for Birmingham, in which Welsh water was delivered to consumers’ taps purely by gravity, while Corbet Woodall, and his descendants, were gas engineers who pioneered improvements in gas making. These two patrons financed alterations to the basement of New College Chapel to help Neuman’s club. The details are hard to determine but might be inferred from Newman’s roman-a-clef novel Raymond’s Folly (1893). Spurred by Neuman’s club’s success, and his well-reviewed practical book on boys’ clubs, Mansergh and Woodall were moved to plan new premises for the club. A site for it in Hill Road, St John’s Wood, was purchased, in 1905, just before Mansergh’s death. It consisted of three old houses which were demolished and a fantastic headquarters was built for the club by 1910. Its name was declared on the frontage, THE MANSERGH CLUB, but it seems that James Mansergh’s family were not further interested whereas two more generations of Woodalls were, and the club name became the Mansergh-Woodall Club. It is said that the building was very well heated by gas! Perhaps James Mansergh provided the bulk of the money, but the Woodalls certainly cherished the premises right up to 1967. Corbet Woodall’s son Henry paid the rates after his father’s death up to World War II (dying in 1948) and in turn his son Edward did the same after the war, up to Scout ownership in 1967. Meanwhile, the second dedicated person, Leslie Kirby, had been running his 8th St Marylebone Boy Scouts since 1922, meeting in the Capland Street London County Council (L.C.C.) School, and he was on the lookout for headquarters of their own. Paul Neuman had died aged 89, in 1942. The building in Hill Road was requisitioned by Civil Defence during the war. It still belonged to its original trust, but had no boys’ club using it postwar. Edward Woodall (Corbet’s grandson) had himself been involved in scouting before the war, and somehow Leslie Kirby found out that the building in Hill Road was “up for grabs”. He applied for a lease, was undoubtedly supported by Edward Woodall, and was successful. So the 8th St Marylebone acquired its new headquarters, and became well known in international scouting for its hospitality there. I had a scout party staying there in late 1952, when the hall was being let for BBC TV rehearsals of Quatermass and the Pit (a pioneering science fiction programme) during the day. The 1953 series was broadcast live, but there is no recording of it. Rent had to be paid by the scouts to the trust during a 7 year lease, then for another lease of 14 years, until finally by a huge effort the scouts raised the necessary £25,000 to purchase the freehold of their headquarters in 1967. Over the subsequent years, property prices have escalated enormously, as have rates and rents, and the social pattern of boys’ lives has changed too, radically, and any kind of voluntary club is now faced with problems that did not exist 50 years ago. Scout groups in a modern city have great practical difficulties. 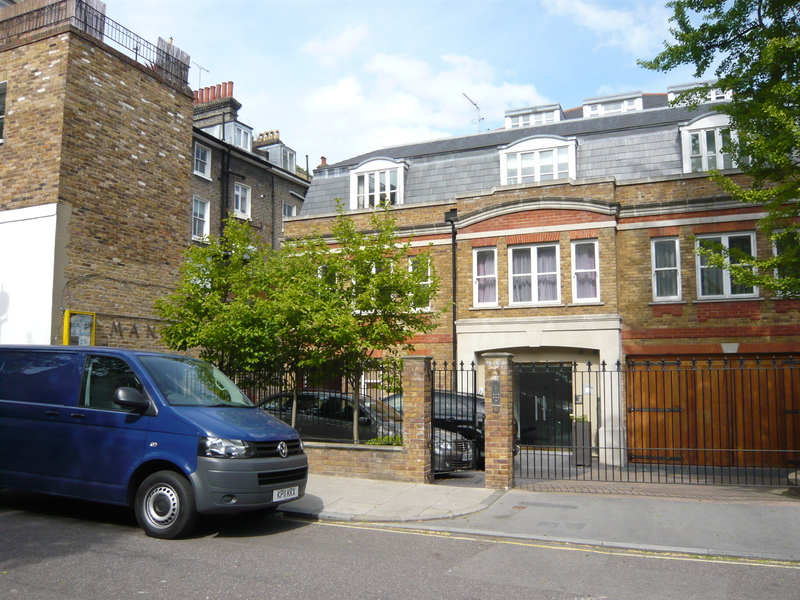 By another massive effort, the 8th St Marylebone adult committee organised, in 1996, a total rebuilding programme which took 7 years – delayed by unforeseen problems with builders – and now has what must surely be the finest scout headquarters anywhere. The 8th St Marylebone Scout Group and the Scout Association Trust Corporation (the legal freeholder) went into a consortium with a property company. They financed the whole project and now there are eight modern flats overhead leased in a very much sought after residential area, while the scouts have their headquarters behind and beneath, with essential acoustic insulation between. The building now has the simple name Mansergh. Its appointments are superb. The hall is, of course, smaller than it had been, but that was over-large for scouting purposes and it still has its other rooms. Where else could you find a “board room” boasting a very long modern expanding table, with at either end a marquetry scout badge? The hall is in much demand for use by others, at an appropriately modern rental. Long may the 8th St Marylebone prosper in its historic building! Mansergh stands as a fitting memorial to two thoughtful and willing benefactors. This page was added on 13/06/2011. According to J. Ronald Adams, who recorded stories about Wharncliffe Gardens, the Mansergh Club was used as a mortuary during WW2. Nice to see David Barrett making an entry to do with the Diehards. Are you still involved in scouting David? Not many people will still remember that you were assistant cub master. To Prince Andrew, Duke of York. Long may the 8th still be active with today’s young people. I remember Brownies at the Mansergh Club, and in particular being taken to fetch some equipment down in the basement, which was very dark, very scary, and contained a swimming pool with no water but some very big spiders in it! I remember the Scout Masters surname now, it was Jack Evans. Further memories come to mind since my last entry. The cubs & scouts used to meet at the school in Lisson Grove. We used to collect newspapers and take them to our meetings. This was during the war. But a bomb aimed at the power station in Lisson Grove blew out all the windows and damaged the roof. 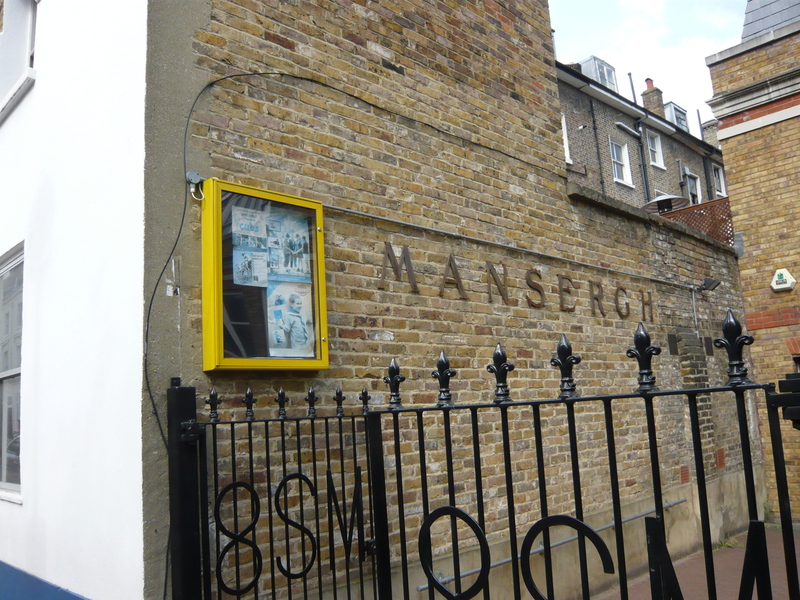 We then went to the Mansergh club, that’s why I remember going there in the black-out. We had torches but they had the top part blacked out so they only pointed downwards. The cub master (Akela) was “Robbie” (can’t remember his surname. The senior scout master was George Scott and the Scout master was Jack from Wharncliffe, (can’t remember his surname either). Another of the asst. scoutmaster was “Chippie” Wood from Scott-Ellis Gdns. I went to a Whitsun camp on the banks of the Thames at Reading as a cub, then the following year as a scout I remember travelling in the back of a lorry to a field at Arundel. We had days out to the seaside at Little Hampton as it was near to the camp. I can remember taking my cooking badge at a lady’s in Warncliffe Gdns. I moved on to join the army cadets at my school in Lisson Grove, but this ended when the officer in charge, a teacher, retired, so most of the cadets transferred to the cadets in Bond St., while I joined the Air Cadets at Swiss Cottage and from there joined the RAF as a boy entrant aged 15. I served seven years with part of my service on the nuclear tests at Christmas Island in the Pacific in the 50’s. Age now 76, I remember being in the cubs and then the scouts at the Mansergh clun when Les Kirby was the group leader. Roger Scott from Wharncliffe Gdns, Lisson Grove, was one of the scouting leaders. We used to put on an annual show on the stage there. If my memory serves me right we attended meetings during the war as we used to walk there in the Blackout. The scouts used to carry long staves and wear large sheath knives on our belts! i went to my first camp as a cub for a Whitsun weekend and then some weekly camps as a scout.